The Embrace Restorative Justice (RJ) in Schools Collaborative is a diverse group of Restorative Justice experts, practitioners, academics, community and faith based leaders with the mission of expanding RJ in schools in a holistic, sustainable manner. Embrace has worked with CPS in an advisory capacity around increasing RJ district wide with great emphasis on maintaining the integrity of the core principles and with a focus on sustainability. Embrace has intertwined the diverse visions, strengths, and missions of our independent organizations to further RJ practices in schools. This kind of collaboration and the goals set are unique to the education marketplace in that using RJ not only leads to strengthening students’ academic ability but helps increase social-emotional health and school safety that extends into the community. Our overarching goal and collective commitment is to end the school-to-prison pipeline by shifting the culture in schools from punitive to restorative, ultimately to a culture of caring. By fostering elements of empathy, community-building, and social-emotional health, RJ is preventative, not just reactionary. The Embrace collaboration is founded on principals rooted in the RJ philosophy. We are inclusive, have built relationship and trust in one another and have come to consensus on our goals. We speak with a truly unified voice to end silo-ing that previously existed in organizational work around RJ. Our greatest innovation is our certainty that together, we can have a greater impact. We wrote the ‘restorative justice practice’ document that was distributed across CPS. We created the "Grounding Principles of RJ" document that has been widely distributed and received national attention. We are currently working on an RJ Toolkit that will be used throughout CPS. 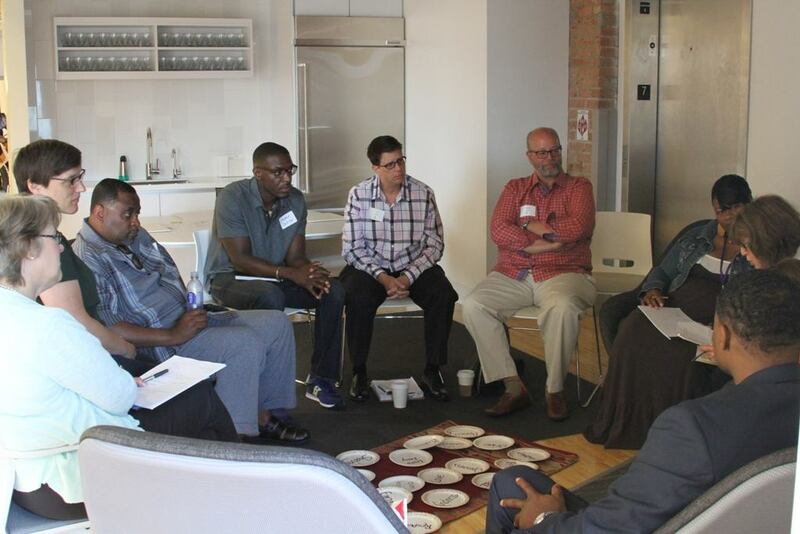 Principals Forum – held June 3, 2016 which fostered transformative dialogue on Restorative Justice with the goal of connecting Principals who have implemented RJ in their schools with their colleagues who are still apprehensive about RJ. The forum was successful in providing a space for all to share first hand experiences with RJ, celebrate successes, and connect with local RJ specialists. We reached our goal of Principals and other school leaders to walk away with connections and tools to build an engaging and effective Restorative Practice school program. The Institute on Public Safety and Social Justice at the Adler School of Professional Psychology, Alternatives, Inc.